A sleek look for your daily routine. 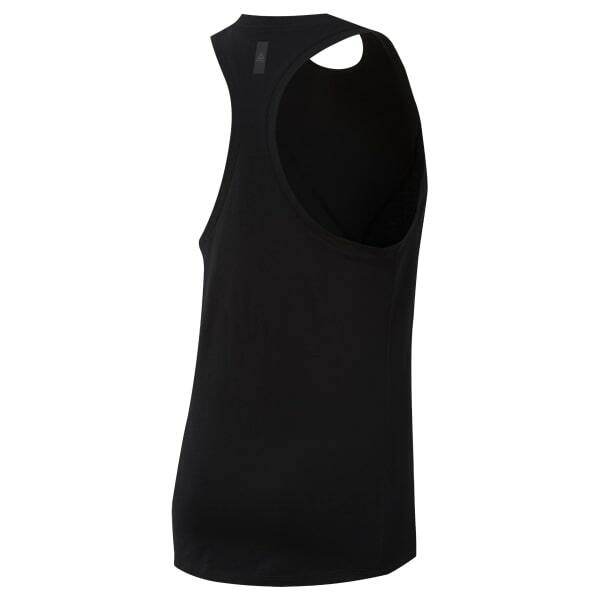 This women's racer-back tank top is cut in a stylish slim fit with an A-line shape. It's made of soft cotton mixed with a woven overlay. The droptail hem provides extra coverage.